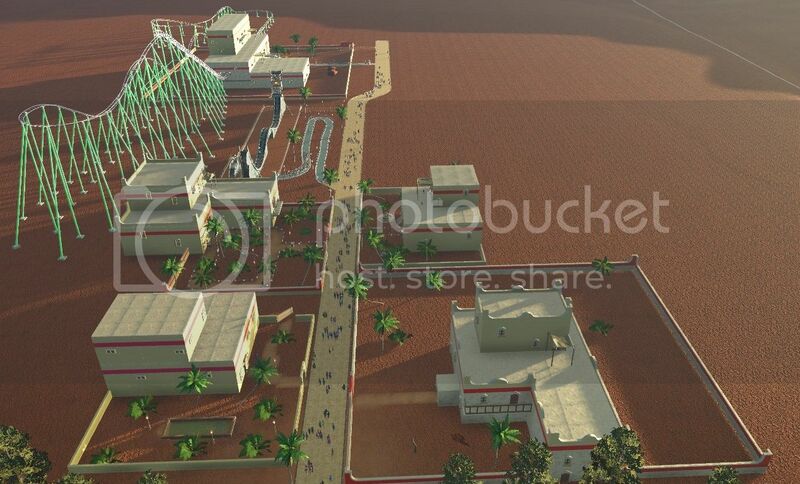 I started a park using my Egyptian themed buildings called (for want of a better name, might change later) "New Egypt". Here is a aerial view of what I have so far, and as usual comments are welcome. Very nice seeing them all together like this, well done - been watching your other thread on them. coming on nice! Thank you, am planning on doing more if real life time permits. These are the First Aid/Rest Room Building (second to last on left) and the Tea Cups Ride enclosure (last on the left). I had already thought of that, but unfortunately the building tools do not have the triangle pieces I need. Have a look at the Pyramids, Parkmaker, they're not made of triangles. Actually they are mainly rectangles - the building blocks are, they are placed offset to make it "look" like triangles from a distance. The outer blocks will have some shaping to them. 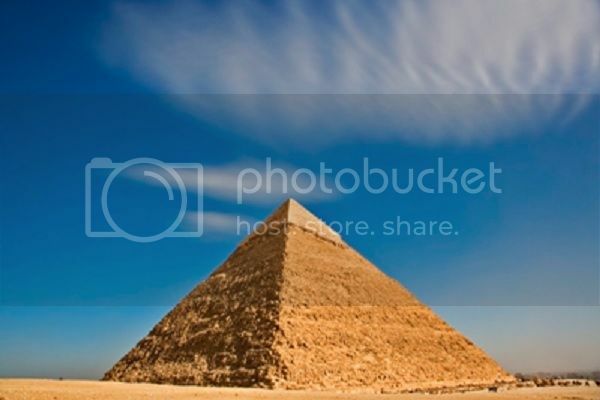 But, my point is in order to make Egyptian pyramids I need triangles. The pyramids found in Central America can show the blocks, but not the Egyptian ones. Even if I showed the rough blocks, I will still need triangles for the Capstone. I am not really that good to attempt it in terrain sculpting as I am afraid that I would mess up pretty badly. I can't be sure because I'm not playing right now, but I'd be amazed if making a convincing capstone isn't fairly straightforward with the pieces we currently have. you could turn the blocks 45 degrees and build a triangle yourself? Can you post a screen shot please to explain this? Thank you. True we have triangle wall pieces in the building set, but the can't be rotated except on the horizontal. I would need to be able to tilt them along the vertical which can not be done. But it's still sad that we can not rotate a wall in every axis, just like any "attachment object"
I think solving the problem yourself is half the fun and the key to making unique creations. I will say this, I wouldn't just concentrate on wall pieces. Don't you view the YouTube videos how others use pieces to build unique creations? For someone who's very active in the forum you seems to know only a little bit about the game and its possibilities .Isn't it? Hopefully this will change, so that walls can do the same. I don't want to use ten (?) pieces where one would work.